Some time ago I bought a new computer, but until yesterday I hadn't needed to use any of my dictionaries on CD-Rom on it. The operating system of the new computer is XP (SP2): of course, none of my dictionaries was running properly. 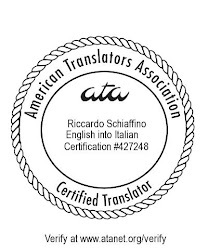 I have personally tested the patches for the Picchi, Tam, Sansoni inglese and McGraw Hill Zanichelli, and they all work - I imagine that the patches for the other dictionaries also should work.